The Queens Jazz OverGround is excited to present one of Astoria’s hottest musicians at The Last Word this Tuesday, Jan 16th. 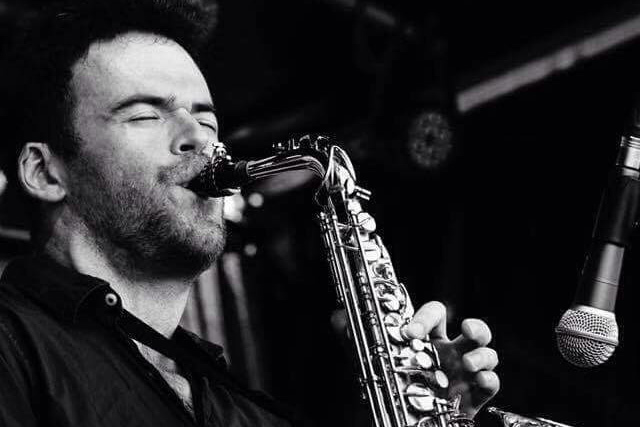 Alto saxophonist Andrew Gould will bring his quartet to play some music from their upcoming album “First things First,” due out in March of 2018. The quartet features : Andrew Gould on alto saxophone, Steven Feifke on piano, Marco Panascìa on bass, and Chris Smith on drums. The Last Word is an elegant and relaxed cocktail bar just around the corner from the Ditmars stop on the N and W trains.